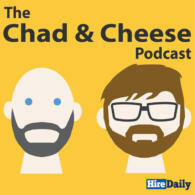 Honeit was recently featured on the Chad and Cheese HR Podcast. Listen to Honeit CEO Nick Livingston face Joel Cheeseman and Chad Sowash on the Firing Squad. Learn what makes Honeit interview technology unique and a game-changer for recruiting and hiring teams.